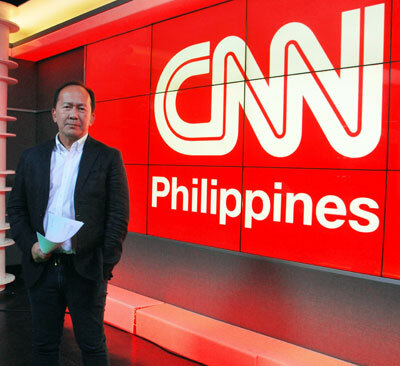 Jing Magsaysay has announced Tuesday that he is leaving his post as senior vice president for news and current affairs of CNN Philippines. In a letter addressed to the staff, Magsaysay expressed his gratitude for all they have done over the past few years, and highlighted the many major stories they have covered, including the impeachment trial of CJ Corona, the 2013 midterm elections, super typhoon Yolanda and the Papal visit in January. "You have worked so hard and sacrificed so much to get the story, put it together and bring to our audience," he wrote. "Thank you for believing in what I believe in — that news is the soul of the company." Magsaysay's exit comes amid a larger shakeup in the management ranks at CNN Philippines, where a new team is being placed with a mission to improve the network's local programming. It also coincides with the retirement of Nine Media Corporation President Reggie Galura, who is set to leave by the end of this month. Magsaysay first joined the network in 2010 back when it was still known as Solar News. He remained its SVP throughout its many transitions — from Solar News to 9News to CNNP — and has also anchored some of its programs, including the now-defunct News Cafe and Solar Daybreak. Previously, Magsaysay served as the channel head of ABS-CBN News Channel.